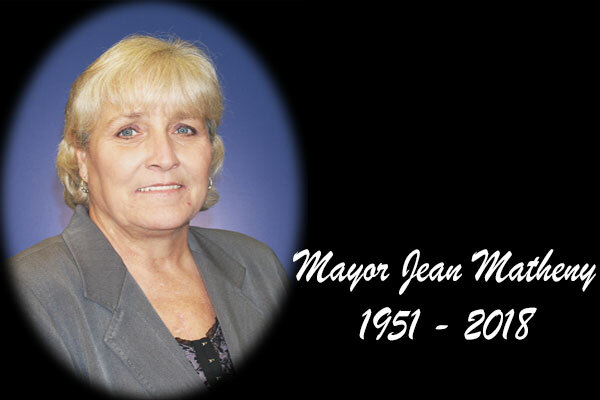 The City of Moraine is deeply saddened by the death of former Mayor Jean Matheny, who passed away Tuesday night. She was preceded in death by her husband of 37 years, Herbert Matheny; son, Rodney Matheny; and her beloved dog, Buffy. Jean is survived by her daughter, Barb (Terry Wilson) Sprinkle; son, Bill Hagerman; grandchildren, Courtney (Norm), Kristin (Curtis), Travis (Brianna), Leighton and Sierra; great-grandson, Ryker Smith; special animals, Abbie, Gage and Zippy; siblings, Jayme (Bo) Mack, Gwen (Jim) Tschirhart and Robbie Brooks; special friends, Carol & Bill Kelly; and many other relatives and friends. The family will receive friends on Sunday, October 14, 2018 from 4-7 pm at Newcomer South Chapel (3940 Kettering, Blvd Kettering, OH 45439). The service will take place on Monday, October 15, 2018 at 11 am at the funeral home. Jean will be laid to rest with her husband at Evergreen Cemetery. The Matheny family is in our thoughts and prayers.